“A garden is not an indulgence” says Millie Ross. I couldn’t agree more. It’s been a long time coming, but finally Australia has a decent landscaping book for ordinary folk. 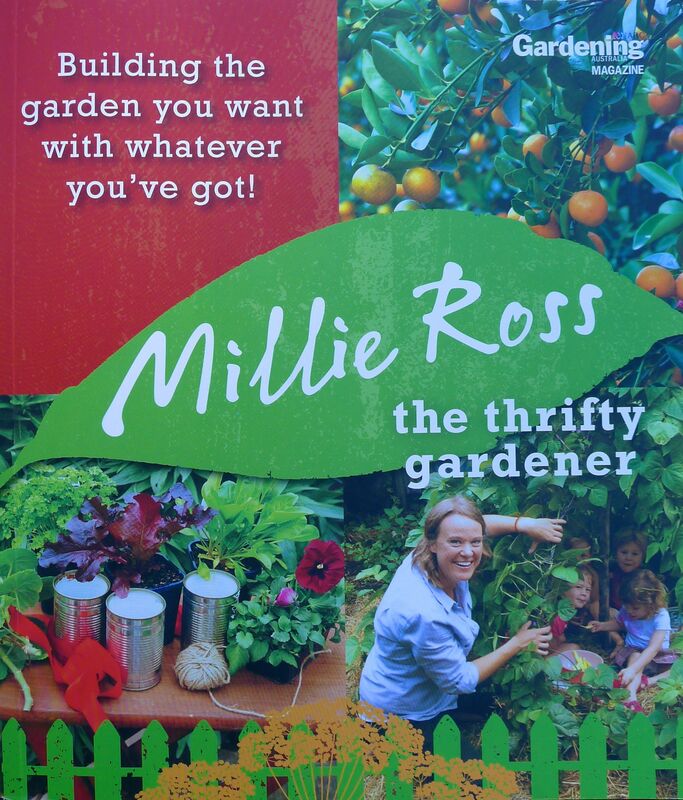 Few books ever aim to help tenant gardeners and this is where Millie Ross makes her mark, dissolving the financial constraints that deter many from reinventing their home and garden. Another thing that sets this work aside from conventional home landscaping books is that ‘The Thrifty Gardener’ combines both style and substance with commonsense, cool climate gardening. Ross’s joyous enthusiasm for experimentation, energy-efficiency and recycling jump out from every leaf. Grow your own teepee, discover what makes a fire pit work, and learn to avoid the ‘bucket of death’. Whether it’s a turfed playspace for kids, a quest for leafy privacy, or a plot crafted around a guard dog, Ross delivers some pretty nifty, thrifty solutions. ‘The Thrifty Gardener’ also explores critical issues too often neglected by professionals. Millie’s explanation of the function and value of a tree protection zone during reconstruction might have saved several heritage trees in the Royal Botanic Gardens, Sydney – and a truckload of wasted money – when the Harbour Tunnel was constructed. Hear! Hear! for the ‘biodegrading’ look! ‘The Thrifty Gardener’ by Millie Ross. Publisher: ABC Books, ISBN 9780733330995, 2012.